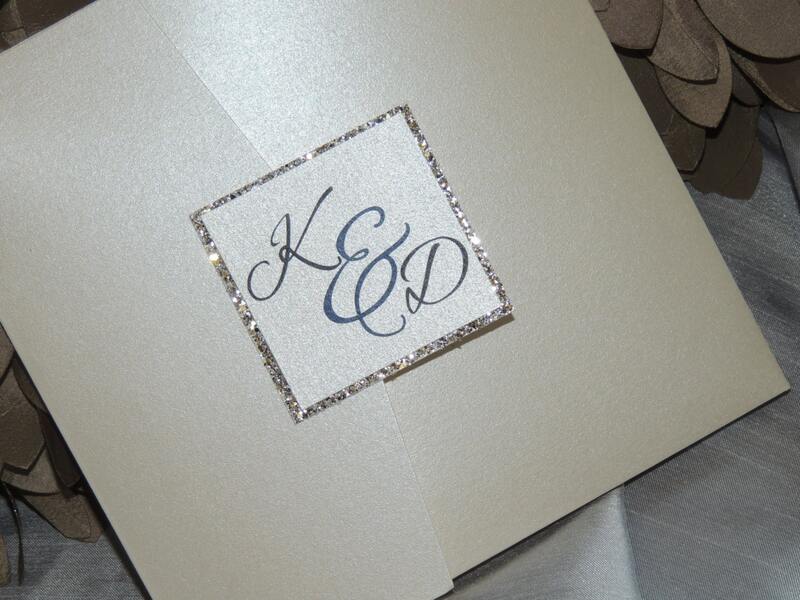 Exclusively from our 'All That Glitters' Invitation Collection.... these handmade wedding invitations with crystal, rhinestone and glitter elegance, are sure to captivate your guests! 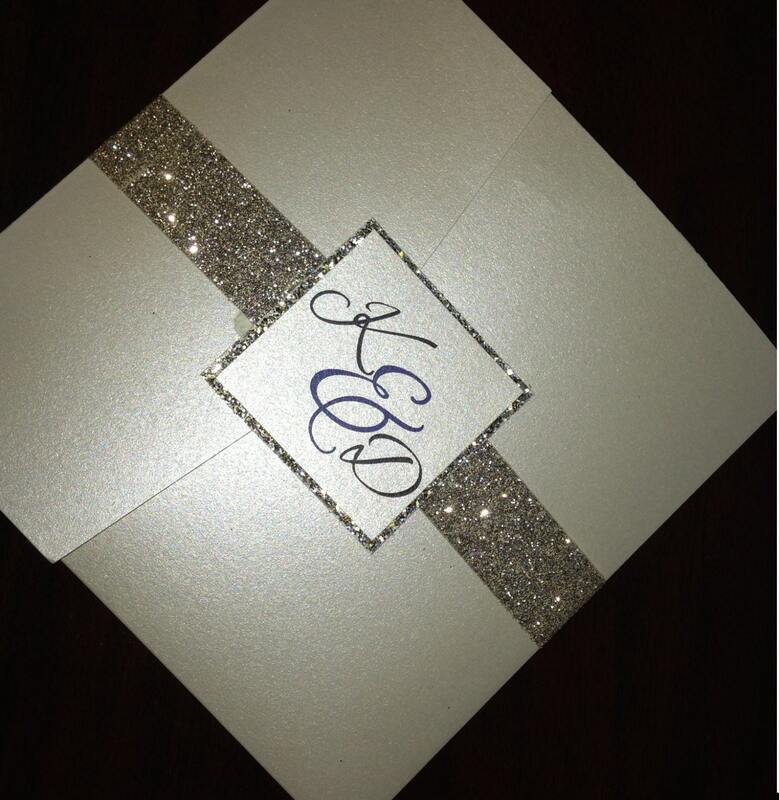 The front cover features glitter backed monogram. 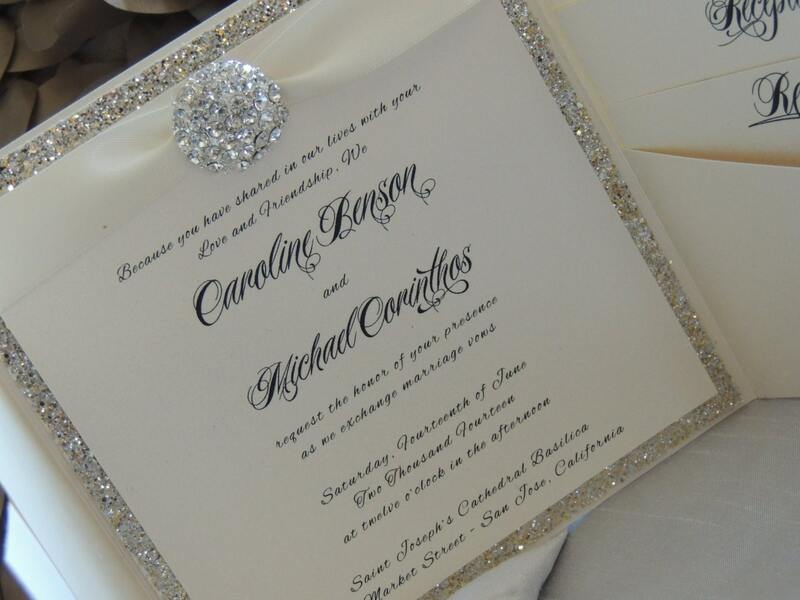 The interior of the invitation showcases a satin banded brooch above your wording. 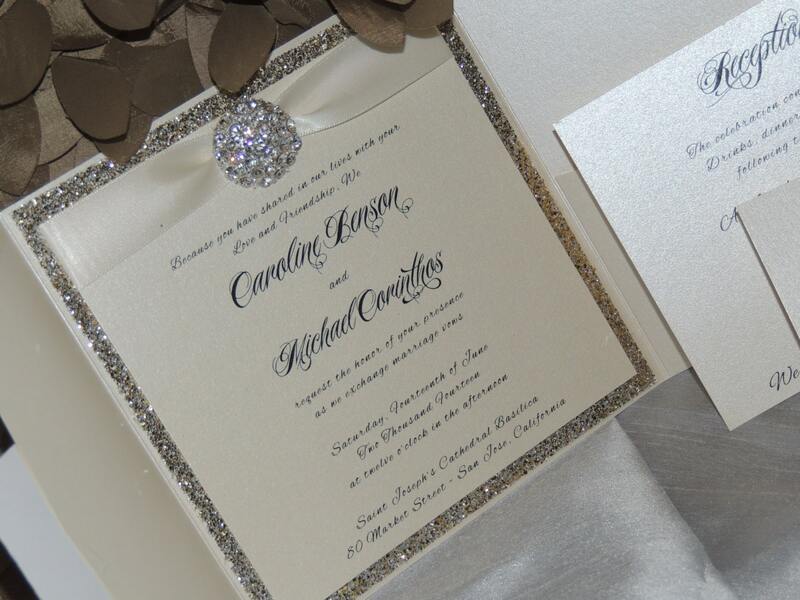 The invitation is mounted on inside and printed on metallic cardstock with matching RSVP & Reception card. To find your total , simply multiply the listing price by the quantity you need. 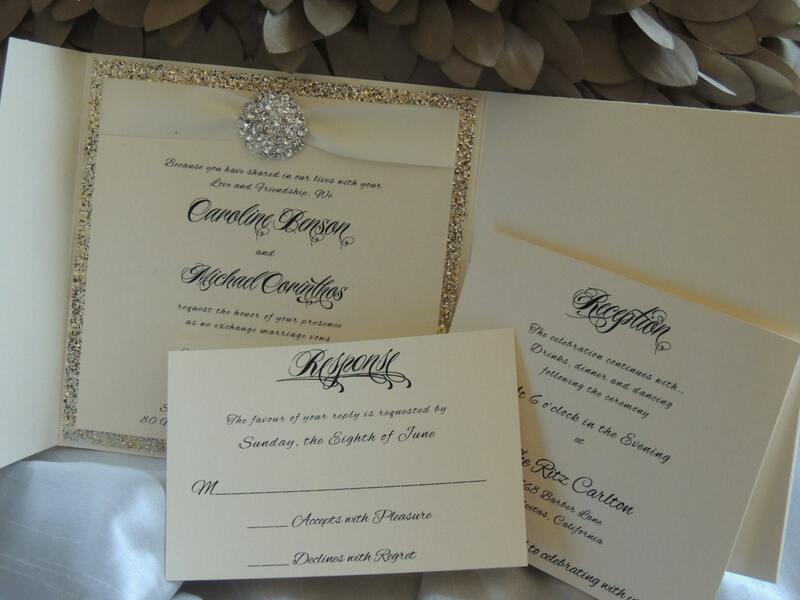 10% discounts offered to orders exceeding 150. 1. Please contact us via conversation to let us know the estimated number you need and the colors you are looking for. We will provide you with a color chart.